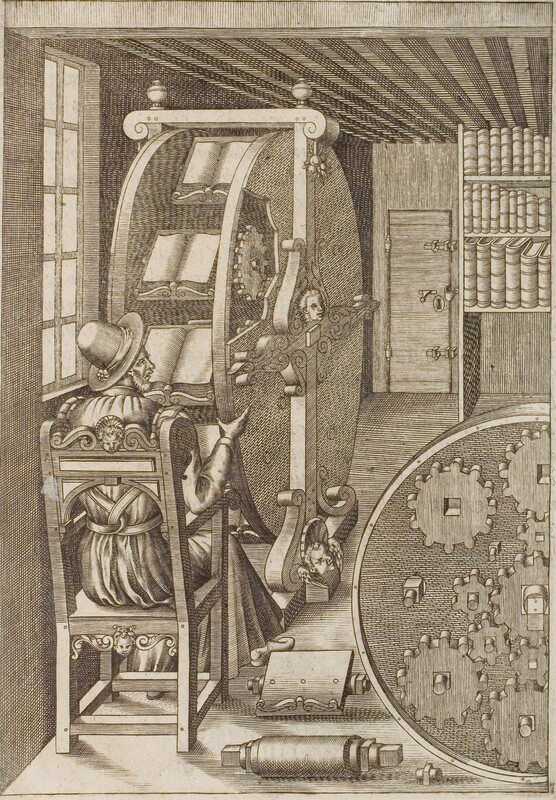 This website’s header image is a modified version of figure CLXXXVIII in Le diverse et artificiose machine del Capitano Agostino Ramelli (1588), a famous engraving representing a book wheel. The image is now in the public domain. For more information, please refer to Wikimedia Commons.